Angie’s Carpet Care serves hundred of clients in Colorado Springs, Larkspur, Monument and Castle Rock. Angie’s certified technicians use powerful truck mounted cleaning systems to clean you carpet, upholstery and ceramic floor tile. Fine area rugs and throw rugs can be cleaned at our area rug cleaning facility in Colorado Springs. All Angie’s Carpet Care technicians are back ground checked and received training and certification through the Institute for Inspection, Cleaning and Restoration Certification (IICRC). We are a member of the Better Business Bureau and we guarantee all of our work. 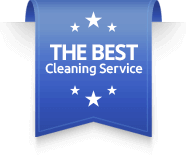 We use industry standard cleaning solutions that are safe for kids, pets and plants. Green and detergent free solutions are available on request. We specialize in treating pet stains and odor as well as red juice stains. Angie’s Carpet Care can also do carpet repairs like bonded inserts (patches), stretching and carpet dyeing to restore the color when a bleach spill has removed color from rugs or carpets. Our carpet cleaning technicians use the Rotovac 360 rotary carpet cleaning extractor to power scrub extra soiled areas and high traffic areas. The power head of the Rotovac 360 is strong enough to deep clean the carpet, but gentle enough to use on residential carpets. 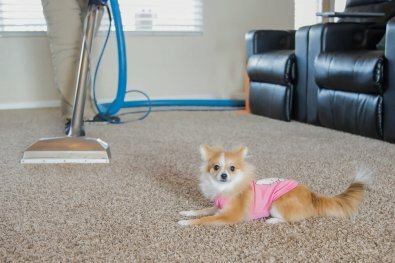 Angie’s Carpet Care is not a discount cleaner or a splash-and-dash cleaner. We are not the cheapest carpet cleaners you will find or the most expensive. We are not cheap, because we pay our technicians well. A well paid technician is happy to come to work and do a great job. This also helps us retain the most talented technicians and reduce turnover. The cleaning technicians will do extra drying passes over the carpet to get the carpets dry as possible and reduce dry times. They also carry fans with them to speed drying, so carpets are damp for hours, not days.